I hope you all had a wonderful Fat Tuesday. 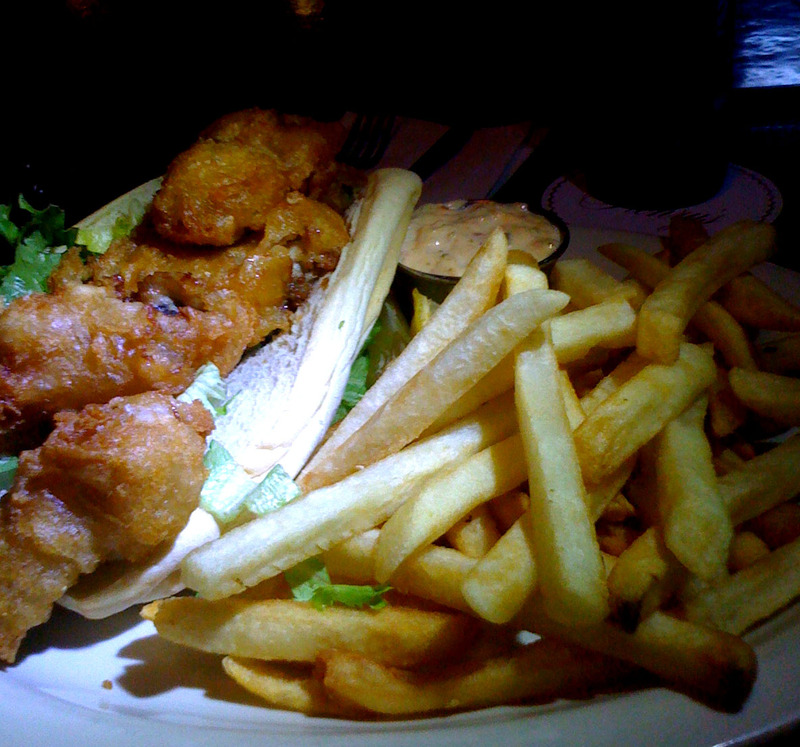 As is tradition, Jon and I spent the evening bellied up to the bar at Henry’s for our annual Oyster Po Boys. Another recommendation from a friend today: 800 Degrees, serving up duck gumbo, seafood jambalaya, red beans & rice, and Creole greens. I’ve got to try that place… maybe next year! Please excuse the poor quality of this photo. It was taken with my phone in a dark bar. I had to borrow the bartender’s flashlight! Slightly jealous (no Fat Tuesday fun for me) and I have to say, borrowing the bartender’s flashing is dedication!